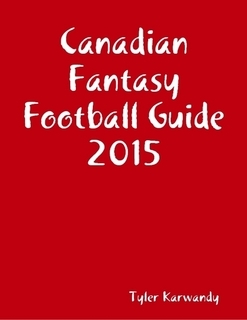 For those of you who haven't downloaded a copy of the best selling Canadian Fantasy Football guide on the planet, I have just updated the guide based on week 1 of the preseason. That means up to date ranks and analysis. For just $5 you can save the hassle of making your own draft sheets and get a huge advantage over the rest of your league. Reminder that anyone who has already purchased a copy can email me and I will send you the newly updated version.